Note: The GNU for Java (GCJ) compiler and libraries are not supported. If you're running on Linux, we strongly recommend you use an Oracle or IBM compiler. When the Install dialog opens, select the Indigo repository from the drop-down menu. Wait while the list of additional features loads. 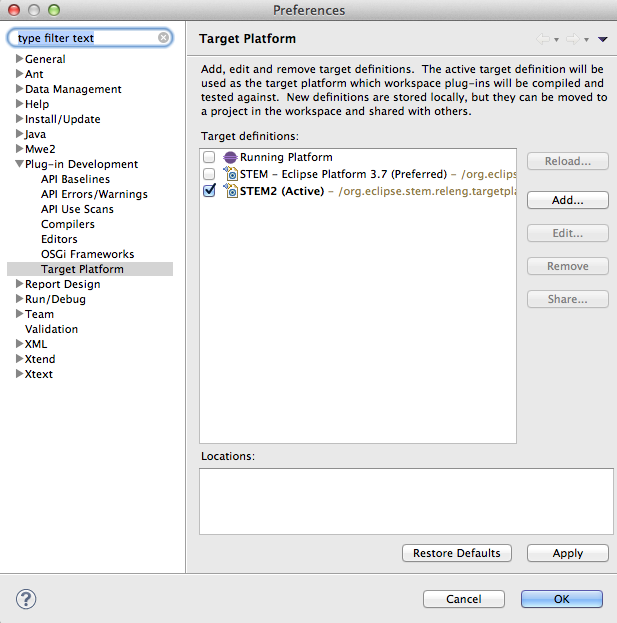 The STEM source code is currently housed in an Subversion (SVN) repository hosted by the Eclipse Foundation. 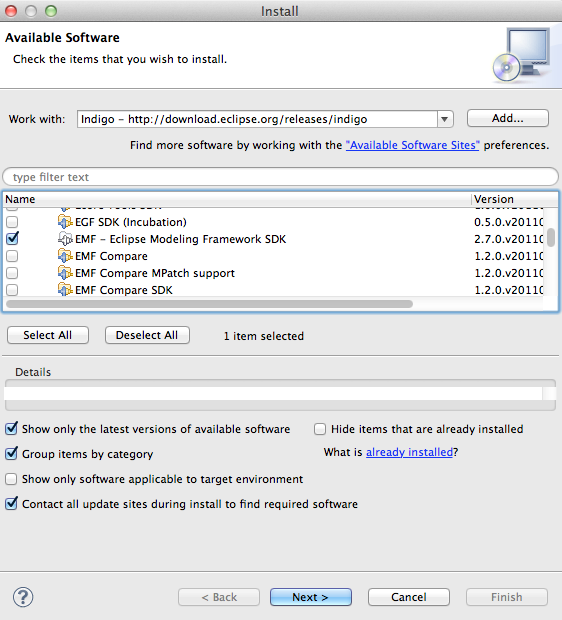 Eclipse does not ship a built-in SVN client with their SDK distribution, so you will need to install one into your Eclipse environment. 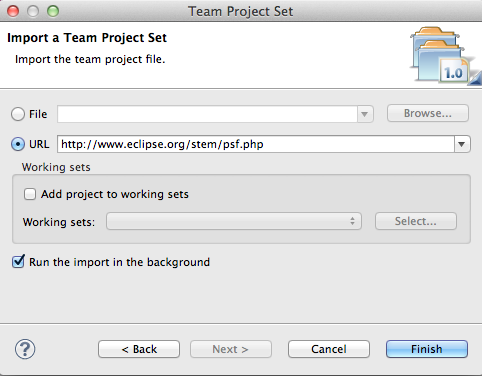 Optionally, you can check out the code using a command-line client and import the projects into Eclipse. These steps are not included in this tutorial.